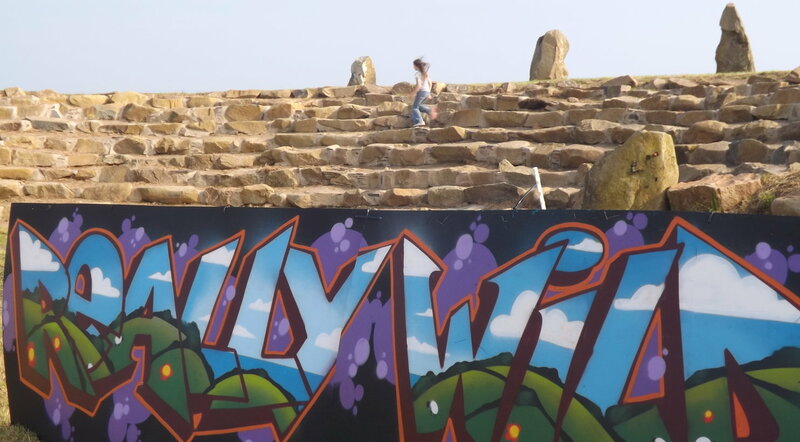 Ty Pren out and about. 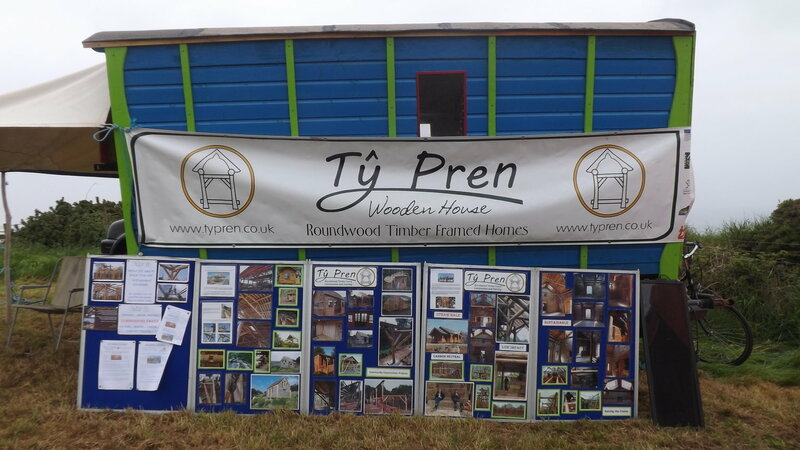 Ty Pren was invited to join Coppicewood College as part of their 10 year anniversary year celebrations at The Really Wild Food and Countryside Festival in Pembrokeshire. Many of the members of Ty Pren began their woodland craft careers here, learning coppicing, woodland management and greenwood craft skills. We all agree that their course was life-affirming and well worth every penny. 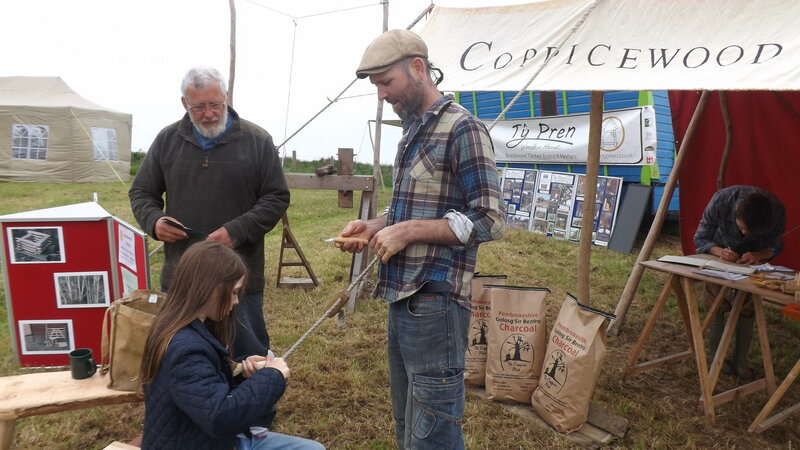 It was great to meet and work alongside Martin, David and Andrew, who helped our daughter make quite a lot of spoons, so many thanks to him for that! We also enjoyed talking to so many people at the festival, we hope to be a part of some of your exciting projects in the future. 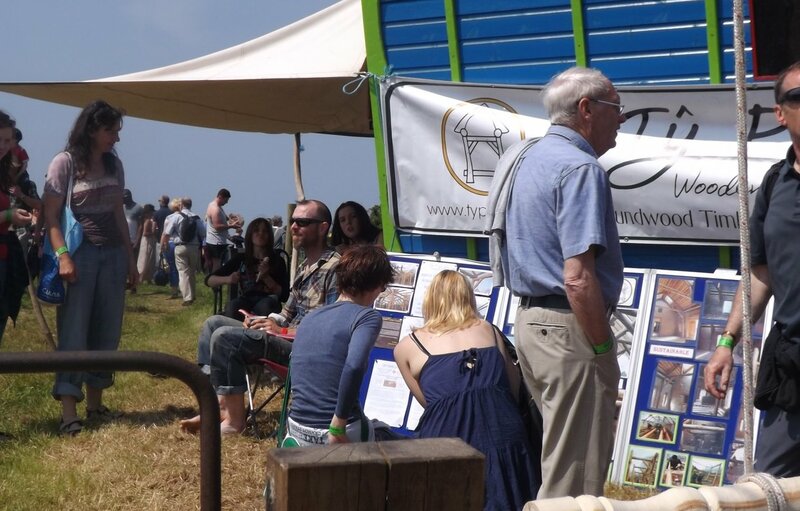 The Really Wild Food and Countryside Festival was a lovely event; we especially enjoyed the brownies, the pizza and the cider! The view of the beautiful coast was beautiful too, and watching the mud runners was both amusing and inspiring; thanks to everyone involved for a great weekend! If anybody is interested in Roundwood Timber Framing Courses, here are the links: C.A.T. and Denmark Farm.